Innovative, pressure compensating (PC) dripline with special anti-syphon (AS) and compensating non- leakage (CNL) models, based on the Cascade labyrinthinth. Used for irrigating row crops, fresh vegetables, potatoes, vineyards, orchards and greenhouse applications. Ideal for long irrigation laterals particularly in cotton, banana and sugar cane plantations. Contains a turbulent free flow emitter welded to the inside wall of the tube at different spacing. Junior, Tandem and DP line. 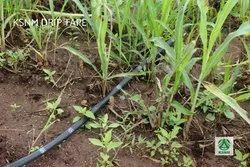 These driplines can be used for all your irrigation needs. Application: Used For Widely Spaced Horticultural Plants Like Mango, Citrus, Guava, Apple Etc. In Group Spacings. 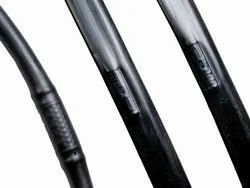 With enriched industrial experience and knowledge, we are offering our clients with a wide assortment of Drip Net PC Drip Line.